I went through an old sketchbook and reworked some stuff. I also have a brand spanking new set of Pelikan watercolors. Perry. The weather here is rainy but the Nor’easter they were talking about. Be safe. Another one where the drips led me. It’s hard to see the details i.e. going in with a fine point sharpie in places. In other news, I lost my dog Beau on the last day of August. 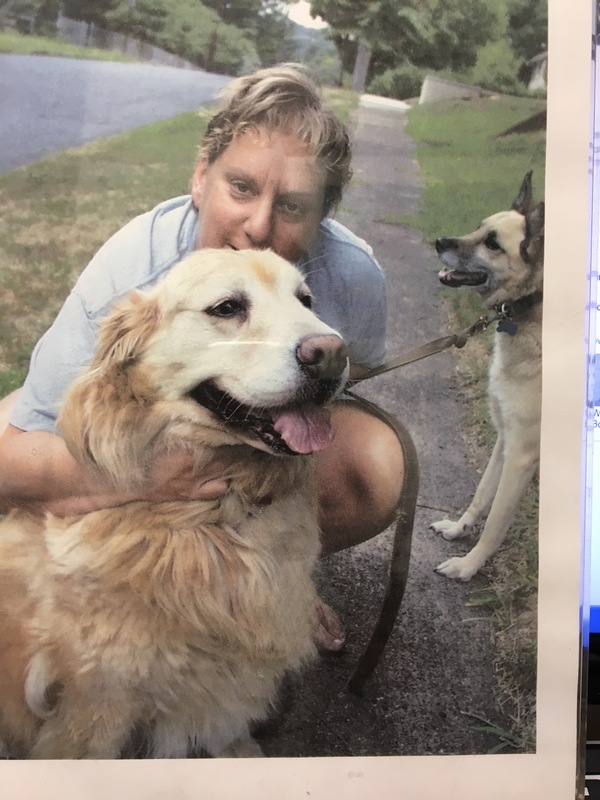 The IG post is from Chris, whose hikes Beau went on with great joy for many years. Beau was just shy of his tenth birthday. I still have his brother, Birdy, who seems kind of stunned. So I guess fall is here. Best wishes to all for the new season. A patient just walked in wearing an orange tee shirt with the image of a corgi showing the skeleton. I was looking for something to draw and this was right up my alley. It reminded me of the book of skeletons that Kerfe got me a long time ago. I will always love skulls and skeletons. 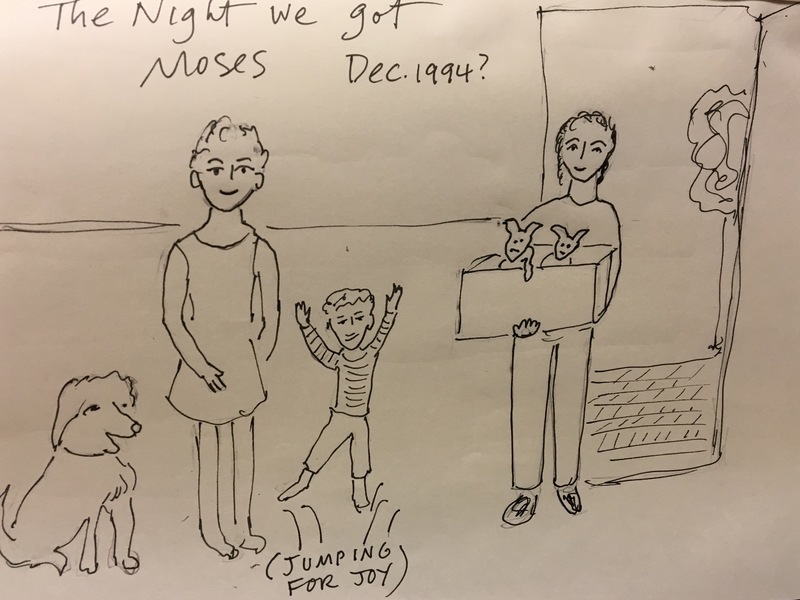 One night our babysitter Jiffy came to the door carrying a box with two adorable puppies. At the time we had our Golden Retriever Samantha. We wanted to take both puppies but husband said no. There was a male and a female–we took the male. We named him Moses (found in the bullrushes). As he grew up we wondered about his origins as he looked like a coyote. DNA testing wasn’t readily available as it is now so we will never know. He was a good dog and lived about ten years or something like that. Here is a photo of Samantha with Moses in the background as well as a much younger me. 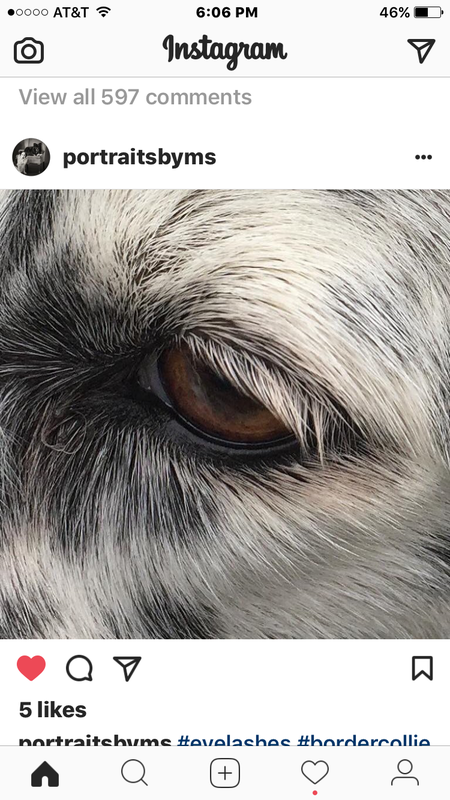 My friend Michael Stahl posted a picture of his dog Lulu’s eye. I attempted a drawing today. Here is Michael’s shot. Lulu has white eyebrows. I wasn’t able to do that in my sketchbook. I’d need to do it on black paper. The last Postcard Fiction I did before this one was also a painting by Iliya Repin, “Freedom”, a prompt from way back in September. I liked it so much I did it twice, and I’ll post both of them one of these days. I collected Jane’s other microfiction prompts between that one and this one in a folder; time, of course, always gets in the way of intentions. One thing I did during our blog break was to enter a lot of juried art shows and submit both poetry and art to journals, which I find takes a lot of time, not to mention the fact that most journals won’t accept work published on a blog. Eight of my Postcard Fictions were entered for a show of “art on paper”, but I won’t hear about acceptance or rejection until mid-January. My daughter’s dog Perry in a human-like pose. I seem to be into pencil drawing lately, trying to hone my skills. Perry is a stubborn but sweet boy. He will lay down on his walks and refuse to budge for a while causing the citizens of Williamsbug Brooklyn to ask if he’s okay. 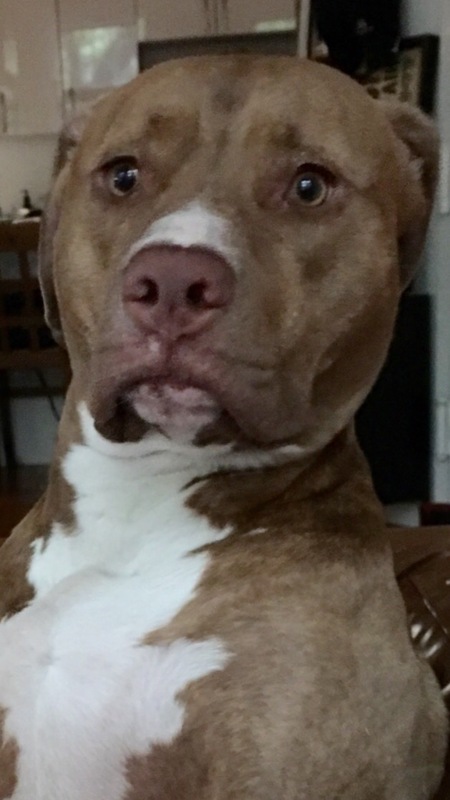 Check out his Instagram account @perry_the_pit_bull. And here’s my daughter’s photo. 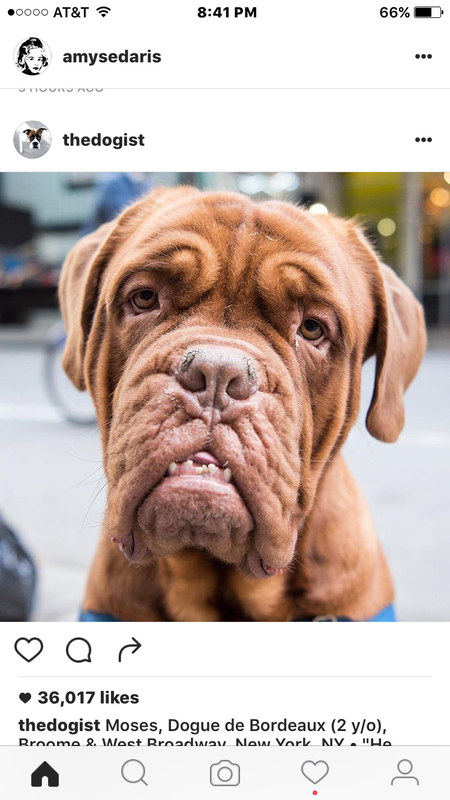 A cute and wrinkly dog from The Dogist on Instagram. The dog as seen on Insta.